An amazing Cinema VR App. VU Cinema - VR 3D Video Player makes you feel like sitting in a Movie Theater (Cinema)! 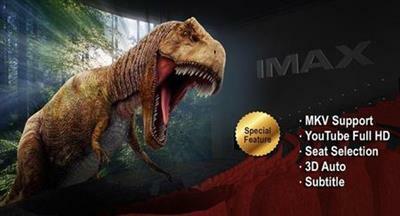 A virtual theater (cinema) scene is presented in front of you in 3D mode. An easy control way has been provided. All functions of this App could be controlled via "Gaze Selection". In the other word, you can completely immerse into the film and enjoy it, without tapping on your phone (Need Gyro Sensor and G-Sensor). App also has “Auto Quality Control” option, allowing users to enjoy the best VR experience on different mobile phones.